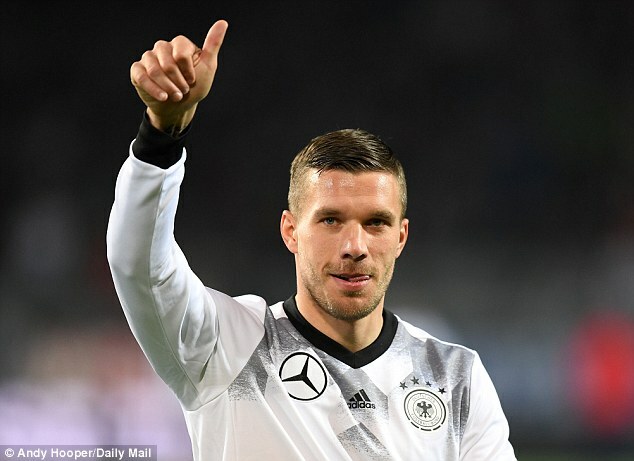 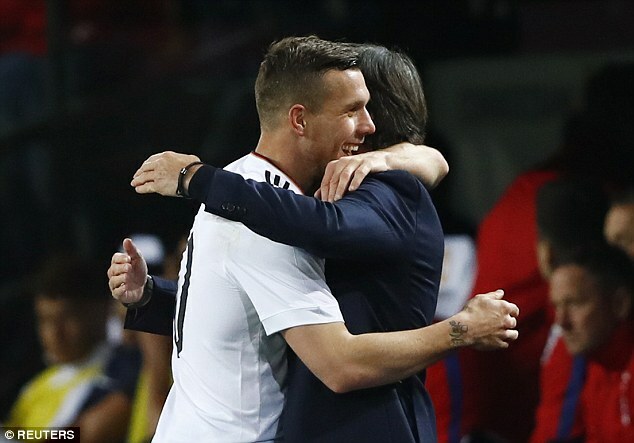 Lukas Podolski’s international career ended in fairy tale fashion as the veteran forward scored a stunning winner in his final game. 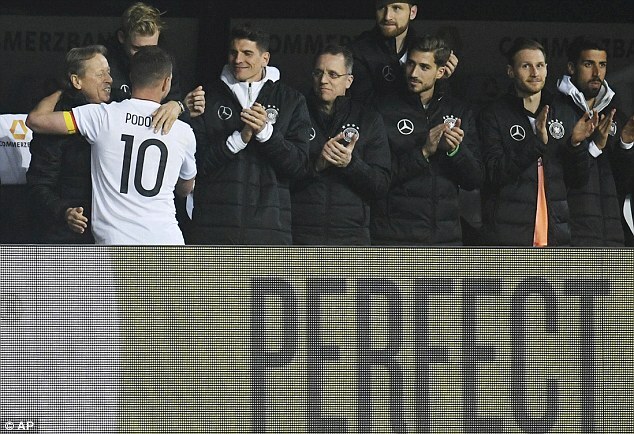 His rasping left-footed strike in the second half secured a 1-0 victory in the international friendly against England, a game that could have been mistaken for his testimonial. 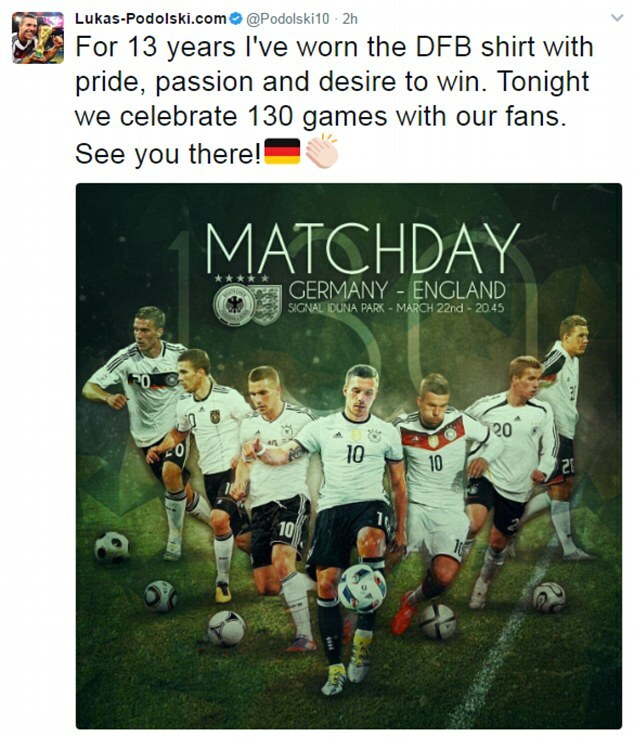 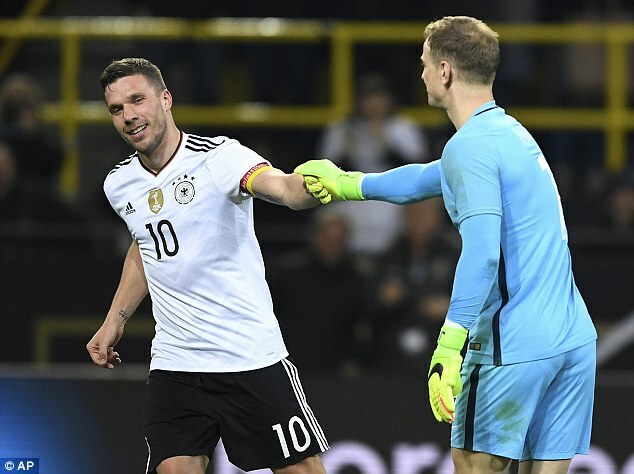 The former Arsenal man, receiving his 130th cap, announced he would call time on his storied international career at the conclusion of the clash and the German FA and their fans did everything to give him the proper send-off. 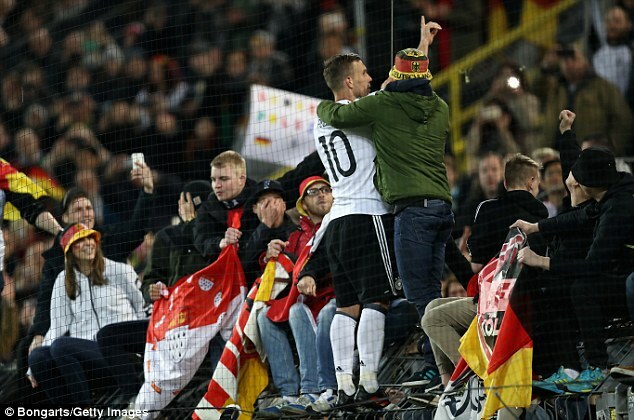 And he gave those in attendance exactly what they wanted, signing off with his 49th goal in a Germany shirt. 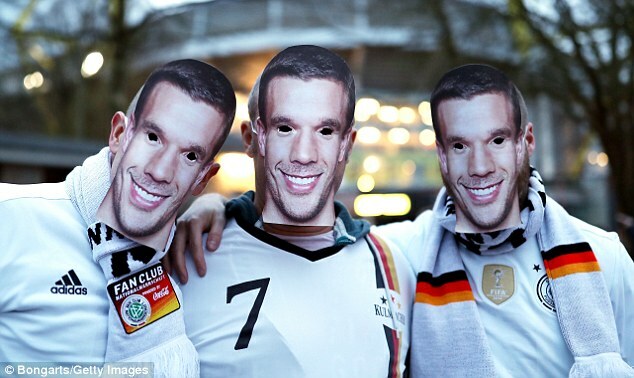 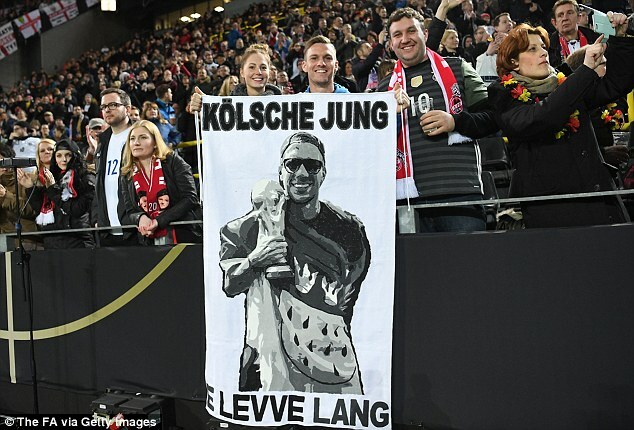 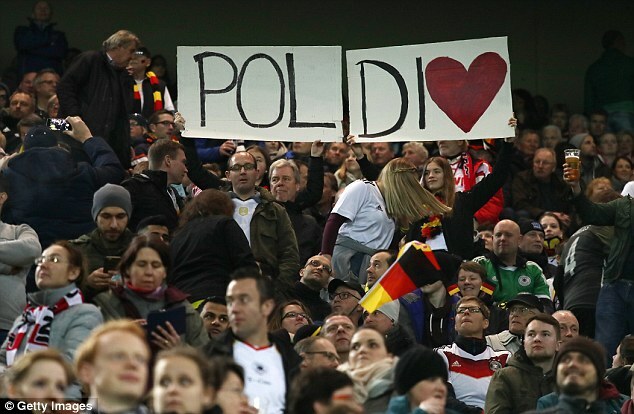 His nickname, ‘POLDI’, was marked across the seats of the stand usually known as Borussia Dortmund’s ‘Yellow Wall’ whilst supporters poured into the ground wearing Podolski masks and shirts, holding a variety of banners in appreciation of his efforts since his debut in 2004. 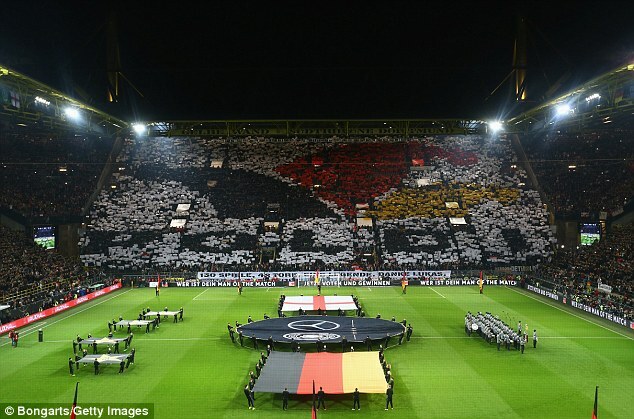 A video montage of the Galatasaray man’s greatest moments for Die Mannschaft was shown on the big screen as the players lined up prior to the national anthems. 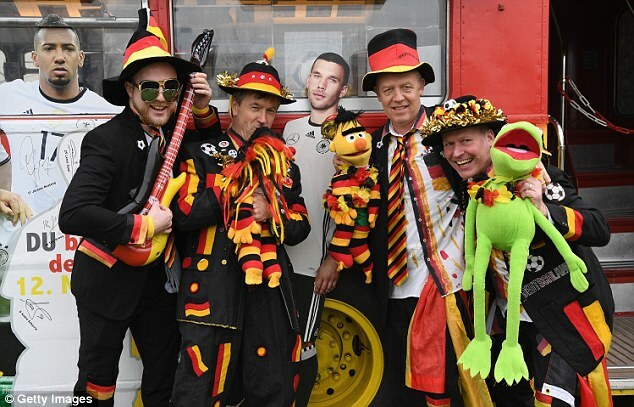 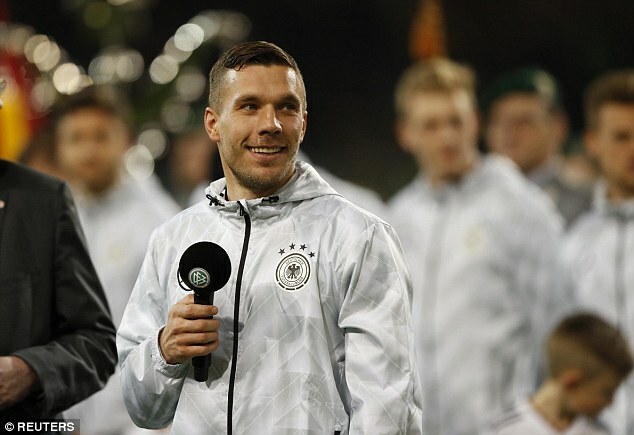 Podolski was then presented with a number of gifts to mark his contribution over the years in a ceremony that caused kick-off to be delayed by eight minutes in Dortmund.